For the area, see Wallachia (area). Wallachia is a nation in eastern Europe. It is bordered to the North by Hungary, to the North-East by Moldavia and to the West and the South by the Ottomans. It is an Orthodox Feudal Monarchy and has the Eastern technology group. Its holding are decent when it comes to development, and further development and advancement in Institutions are available due to the flat terrain in its provinces. Wallachia and Moldavia are the only two countries that can form Romania without requiring a culture shift. It has access to the Romanian missions, together with Moldavia. Milord, our beloved monarch, Vlad III, also known as Dracula after his father Vlad II Dracul, has recently begun impaling captured Turkish soldiers and even civilians. Already he is being called 'Tepes' - the Impaler. The Turks are livid and insist that we at the very least apologize for his actions. Now, far be it from me to criticize our wise and noble ruler, hrrm, but he seems to listen to you - perhaps you could convince him to be a tad more... diplomatic? is a vassal of the Ottomans. is ruled by a member of the Draculesti dynasty. The year is between 1450 and 1500. We owe the Turks nothing! Let them squirm on the stakes! Wallachia gains 50 administrative power. Ottomans gain the opinion modifier "Displeased" towards Wallachia, worth −50 opinion for 50 years. Ottomans gain the opinion modifier "Good Relations" towards Wallachia, worth +50 opinion for 50 years. In 1444 Wallachia is positioned between three powerful countries: Ottomans, Poland and Hungary, and cannot rely on any of them, for long term protection. The country is landlocked, the possibilities to expand are very limited. The biggest problem is that there is no serious country who wants to ally with Wallachia. The economy of the country is weak. The current heir is horrible, but at least this is something that can be ignored, because an encrypted event will give the player Dracula as ruler, when the current ruler dies. In order to step up for the challenge, Wallachia has to grow quickly, to be able to secure good alliances, to have protection against it's neighbors. At the beginning has a truce with the Ottomans, so has some time to grow, but this truce also prevent Wallachia to attack Ottomans very early, if opportunity comes. - As soon as the infantries are ready, gather them near Moldavian border. One infantry shall be attached to the siege general, the rest of the army, to the ruler. Check who is the ally of Moldavia. Most of the time, it will be Circassia, and this is the best option, Imereti can work too, Byzantium, can work in certain condition (if player is very good in warfare and and can get military access from Ottomans), but I don't recommend. In case of other alliances restart. Give Giurgiu to Clergy, then "Seek support of the Clergy". Then "Demand Administrative support" which gives 100 Admin points in this condition, and Clergy loyalty remains still high enough to have reduced stability cost. So the player can no CB the ally of Moldavia, and has the administrative points to cover the stability loss. The first mission can be completed too (recruited to force limit), for some military bonuses, but it is not necessary. - Move the whole army to Bessarabia. The fort shouldn't be fully reinforced. Moldavia will bring his army to occupy the mothballed forts, intercept them with the ruler, leaving the one infantry with the siege general in Bessarabia (prevent fort being supplied). The rulers army shall be enough for stack wipe, if not take care to intercept any further invasion, however this slows down the siege. - As soon as the diplomat is back, improve relations in Lithuania and Crimea, just to be able to get military access. However don't request it before Moldavia is peaced out, so probably Circassia can not come to help Moldavia (sometimes they lands troops to Bessarabia, but it is not a problem). - As soon as the siege of Bessarabia is done, carpet siege Moldavia, moving a siege stack to Suceava. Take care, there can be a small Moldavian army somewhere. - Separate piece shall be signed with Moldavia, as soon as Bessarabia and Birlad can be claimed. The timing is critical, because Moldavia will get an event that will make them a vassal of Poland or Hungary, and then the war is over. This is why the 1 siege pipe is necessary for the general. Without that, the siege of Bessarabia can not be finished before the event. - Once Moldavia pieced out, get military access through Lithuania and Crimea, go and attack Circassia. If the ally of Moldavia was Imereti, military access is needed also from Circassia, and this depends on alliances in Caucasus. Vassalize Circassia in the peace treaty and get their money. You need every cent. If the player gets more than Bessarabia and Birlad from Moldavia, then Circassia can not be vassalized, because of coalition. Also in this case, a few countries can enter coalition, but they will not do it. In most of the games Ottomans or Hungary will guarantee Wallachia, and this would help against a coalition, but the entire Moldavia can not be taken in one war, and another war will be needed anyway. So better not to risk, and take only the two provinces in this first war. After this opening, Wallachia will be a little bit stronger, and will be able to get an alliance with Poland, Bohemia or Hungary, depending on the situation. Wallachia has access to Black see, and can create claims in Crimea and Theodoro, and has a possibility to expand also in the Caucasus, using the claims of Circassia. One of the drawback at this moment is that Wallachia can not create claim directly claim in Caucasus, and sometimes Circassia will not offer the right claims, this is why Theodoro becaomes a top priority, but the right opportunity has to appear. Lithuania and Crimea or Great Horde has to be kept friendly, to have military access to Caucasus. From this moment, the player has to keep open his chances to expand in any direction the possibility appears. Wallachia has to be aggressive, and grow quickly. If not, one of the neighbors will see him as easy pray soon, if Wallachias ally will be occupied somewhere else. - Make Byzantium vassal, prevent the Ottomans to take it: Byzantium is usually allied also to Serbia, so this is a hard war for Wallachia. The second problem is that Ottomans will rarely give military access, and even when they do give it they tend to attack Byzantium soon after Wallachia attacks them. Then they either siege down Constantinopole before Wallachia can do it, or Wallachia can not vassalize Byzantium. Constantinople can not be annexed directly, having no sea access. - Expand to Serbia/Bosnia: For this one, military access is needed through Hungary. Serbia and Bosnia are usually ally, they can unite their army and have advantage. This is a hard war for Wallachia really at the beginning, but a good player can win the war, and vassalize Bosnia (beware of coalition) Later Serbia can be fed to Bosnia. Anyway, I don't recommend this as opening move, because during this war, Moldavia will become a vassal, and Romania will remain landlocked. I recommend to make this war, after the Moldavian attack, once the aggressive expansion allows it. Perhaps in a moment when Serbia is fighting a war against Venice. Leave Venice to take some Bosnian land that the want, and vassalize what remains. This way aggressive expansion is lower, and perhaps Serbia can be vassalized and Bosnia directly fed to them. Getting these lands helps to stop the Ottoman advance in Hungary. Wallachia's best ally against Ottomans is Muscovy, but they can not ally at the beginning. Wallachia has to pick Poland, Bohemia, or Hungary as first ally, best if he can ally two of these countries. Poland sooner or later will rival Muskovy, while Hungary can get permanent claims to Wallachia, and anyway they are an early game war target, so these alliances will not be for long term. The best option is Bohemia. In order to get the alliances, always manually set the target countries friendly, when possible, and if they rival Ottomans or another enemy of you, don't forget to set Threatened relation status between you and their rival. This increases their willingness to ally you. Also keep an eye what common land your ally and you desire, and remove these lands from your wish list if you see that the alliance is braking. Defensive first: With this idea, and with Cossacks, Wallachia can have better moral then Ottomans, and can beat them easily in battle. Quantity is not a good choice, The additional troops and manpower will not help, Ottomans troops will beat numerically superior Wallachian army. Trade idea: Having problem with economy, this is a good choice as second idea. It will start to work at full power at the moment when Wallachia occupies Constantinopole, but then it will give fabulous income to Wallachia, which allows them to build a big bunch of buildings, including Universities and Manufacturies, to increase the chance to have the last institutions started there. Alternative can be the Influence idea group, but in this case, the player shall have more vassals, so the boost of the vassal income will help the economy, but then there will be no relation slot for the powerful allies that Wallachia needs. 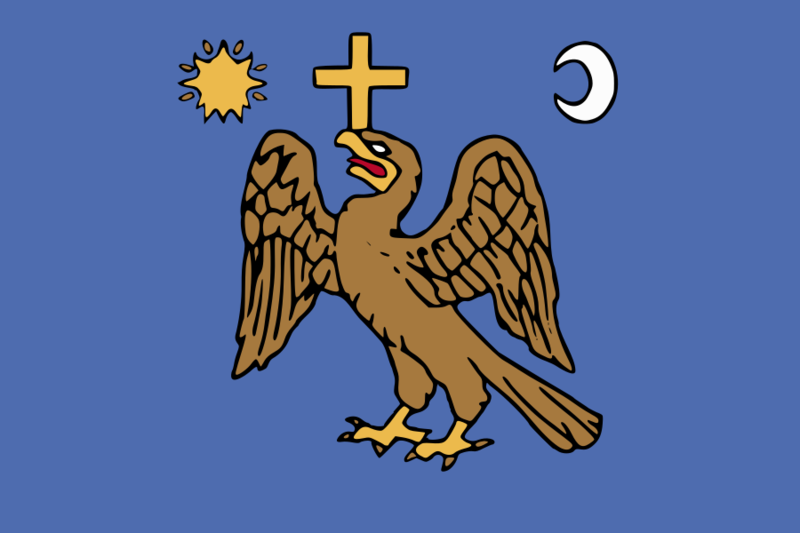 Religious idea helps a lot Wallachia, because most of the land they take are not orthodox, so conversion is necessary. This is better then Humanist, because orthodox provinces will receive boost because of the religion. Deus Vult is also great. Further Ideas shall be quantity, to increase the nr of the already good soldiers, then Influence for reduced unjustified demands and vassal bonuses and either humanist, to help dealing with rebels, either administrative to help with the core cost reduction. Hungary: They have some mission or event, that give them permanent casus belli to Wallachian land, so long term alliance is not possible with them. At the beginning they are a useful ally, if the player wants to attack Ottomans during war with Albania, or needs help against Serbia/Bosnia. Usually they brake the alliance with Wallachia quite early. This is just good, because they end up in big wars against Ottomans, or Venice, and that is the moment when Wallachia has to attack for Transylvanian land (Bohemia or Poland are eager to help). Theodoro: They tend to have some serious trade league alliance, but usually they are the only ally of Trebizond. Wallachia can no CB Trebizond to get this province. It is a strategic position. From this province claims can be created in along the Black sea coast line, if Circassia is not creating the ones that are needed Poland and Lithuania: Poland is one of the best early game allies. At the beginning they have too many relations, and they don't want to ally Wallachia, just keep the relations high and they will accept alliance soon. If they get the Lithuanian PU, two allies are gained with one slot. Later, Poland alliance will have to be sacrificed, in favor of a Muscovy alliance. In Commonwealth - Muscovy wars, better to be at the side of Muscovy, and get Commonwealth land, or even better if you trigger the war with them, with Muscovy on your side. Bohemia will also help for territories. Mamluks: They are natural enemy of the Ottomans, and at a certain point Wallachia will be able to ally them. The alliance can help to fight the first wars against Ottomans, but they are having bad alliances, and if Ottomans are attacking them directly, it will drag Wallachia in wars that will be lost against Ottomans. They shall be allied only when they have truce with the Ottomans, and as the truce ends, Wallachia attacks Ottomans with his alliance. Mamluks will join for land, if not, brake the alliance because Ottomans will most likely attack them after the war. Spain (Castile, Aragon): They can provide a navy to fight the Ottomans. Alliance is possible after 1500, but the player has to insist keeping relation high, and waiting for a moment when Spain don't have too many relations. Venice: Can be allied only for short time. They are republic, so hard for Wallachia to ally them, and they also have interest for the same territories as Wallachia, so it is hard to keep the alliance. The Knights: As soon as Wallachia has Edirne, claim can be fabricated on Knights. Their navy is not big, Wallachia can outnumber them, and there will be also moments when their alliance is weak. From Knights claim can be fabricated on Cyprus, and Wallachia can attack Mamluks (with help from Spanish/Venice navy) and take land in Egypt, to block Ottomans there. This is why the Knights are important target. - Always get money and war rep in peace treaties, and invest this money in buildings, and embracing institutions. - Use Cossacks to "Conscript Cossack Elite", to keep army tradition high, and to get the necessary cavalry from them, or also military advisors. Have a good strategy for Wallachia? This page was last edited on 9 April 2019, at 15:39.